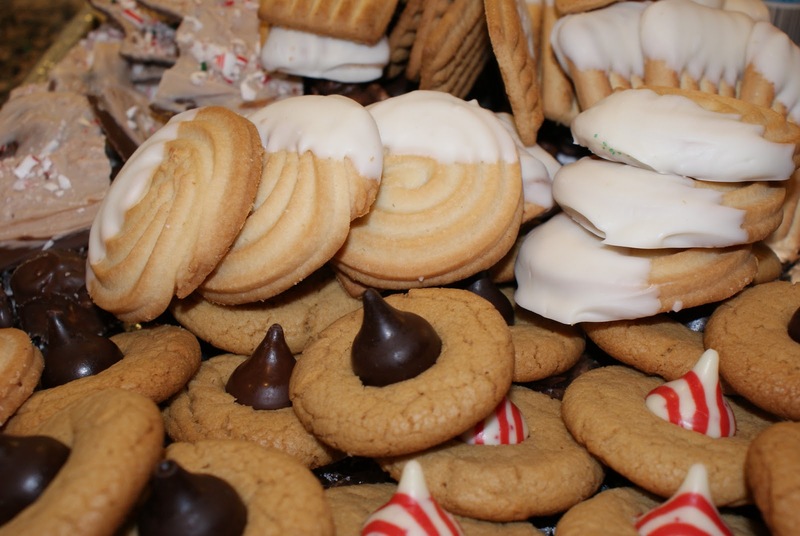 You can’t have the Holiday’s without the yummy goodies. Hand dipped pretzels in Almond Bark (can find this in the baking section of the grocery store). Sprinkle them with red and green candies. 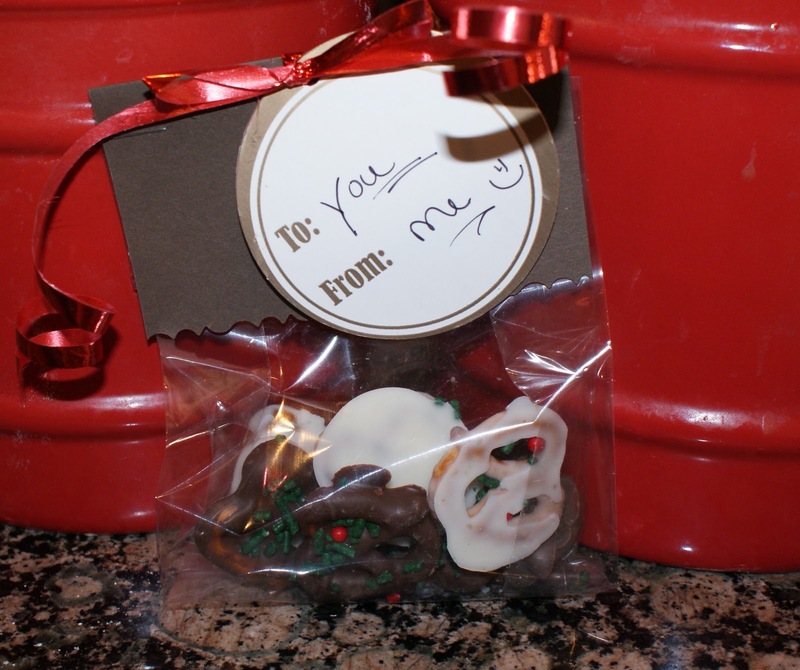 Place in cello bags and topped with card stock and stapled over the bag. TaDa! Yummies for your loved ones. Just a few more goodies I’m putting together for friends and family for the holiday. Thanks for your awesome comment. I'm still new to this blogging stuff so it makes me happy when I get great feedback from you guys.